What Kind of Boat is Best for Me? Extra space both above and below decks. 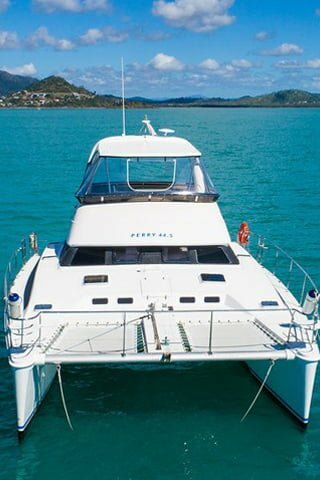 Catamarans can comfortably accommodate up to 10 people, depending on the boat’s size. 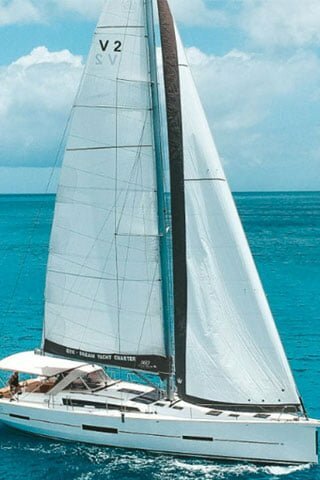 Catamarans provide a stable platform, with little to no heeling over when sailing. 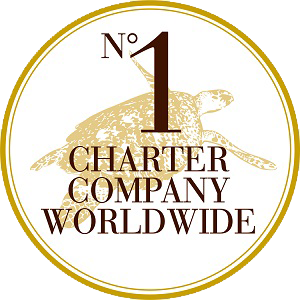 And when at anchor, there is no rolling around, guaranteeing a peaceful night’s sleep. Catamarans have a much shallower draft than monohulls, which allows anchoring close to shore. Ease of handling. Most charter catamarans are set up with furling headsails and slab reefing mainsails (with lazy jacks) with all lines running back to the helm station and cockpit. Two engines – so if one goes, you still have the other one! A monohull is more streamlined and therefore easier to dock, it takes up less space, and is cheaper to dock, haul and slip. Monohulls manoeuvre better because you’re not dealing with two hulls. They can make sharper turns and navigate more easily through narrow channels and tight spaces. The higher efficiency of a monohull design presents less resistance in heavier weather. 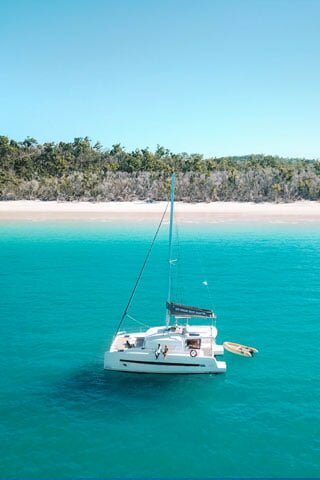 Due to their lower wetted surface area, catamarans are faster but it’s a bouncier ride whereas monohull designs work harmoniously with the elements. Power catamarans are also available for hire. They are a good option for people who don’t feel comfortable hoisting the sails and are proving very popular with larger parties such as families on holiday together, who want a complete holiday experience. Larger power cats can comfortably accommodate two families (10 people).